The sleepiest of photos in August, about two weeks after little man's birth. In the months before baby’s arrival, Eugene and I started to have many a conversation about who would “be there” for the birth and who would visit immediately after. Whew. Talk about some tension, y’all. Our plans for the birth were nontraditional by our society’s standards (a story for another time), and I was really adamant about having only Eugene and our birth team, including midwife and my doula, present. To me, birth seemed like a sacred, personal space and I couldn’t imagine having too many people around. Further, we also agreed on limited visitors to meet baby on his birthday. His grandparents and maternal great-grandmother met baby right after he was born and stayed for the day after, but in the days and weeks to follow? I didn’t want ANYONE. I also didn’t have any desire to get out and about, but instead stay home. Weird? Crazy? Impossible? In China, there is the tradition of “sitting the month.” Many Chinese women follow the ancient practice of spending the first 30 days after birth inside, often in the same apartment or room. Their only job is to take care of the baby and rest in order to properly heal. There are extremes to the practice, too (like not showering for those days and only eating cooked foods), but it’s said to be in alignment with Traditional Chinese Medicine of balancing yin and yang, and healing the body. In Latin America, women practice “La Cuarentena,” the quarantine. The first six weeks after baby are dedicated to nursing and resting, and new mothers abstain from any strenuous activity and certain foods. In Colonial Times in what is now the United States, women would have a lying-in practice of three to four weeks with the baby. Other women ran the household - cooking, cleaning, taking care of children, etc., so that the new mother could rest and focus on time with the baby. Do you see? Less about visiting and entertaining and passing the baby, and more about giving the mother time to properly heal, to bond with the baby, to establish nursing (if you choose), and to simply rest. Because...birth is work! For you and for your baby. 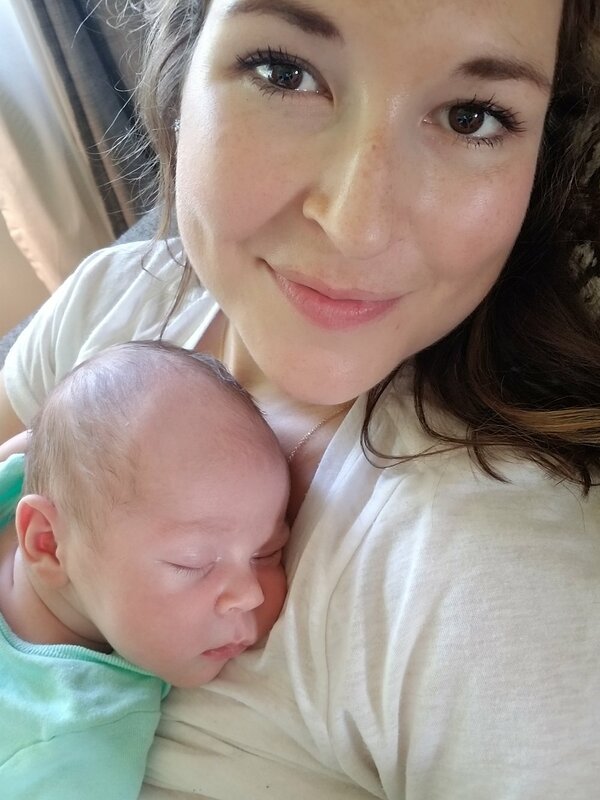 We did end up having our own version of “lying-in.” Much of that time was holding the little man, learning how to nurse, discovering what it means to be a mother, and navigating a new relationship with my husband. But, we weren’t in complete isolation. Did my mother end up in the birthing room as baby boy was born? YES. Did our parents stock the pantry and sprinkle flowers all over the house (and rubber duckies, too) after our son’s birth? YES. Did my grandmother come up for almost a week to help with the laundry and groceries? YES. Did we have the most wonderful postpartum doula to help with the house and to help me process the birth? YES. Did we have visitors in and out constantly? Nope. I write this to encourage you to think about what feels right for YOU immediately postpartum. What are your plans once baby arrives? Have you thought about if you want visitors? Who will “mother” you during this time? How will you ask for help? And, if you’ve already had your baby, what was your postpartum experience like? I really do love to hear from you!